Happy Monday! 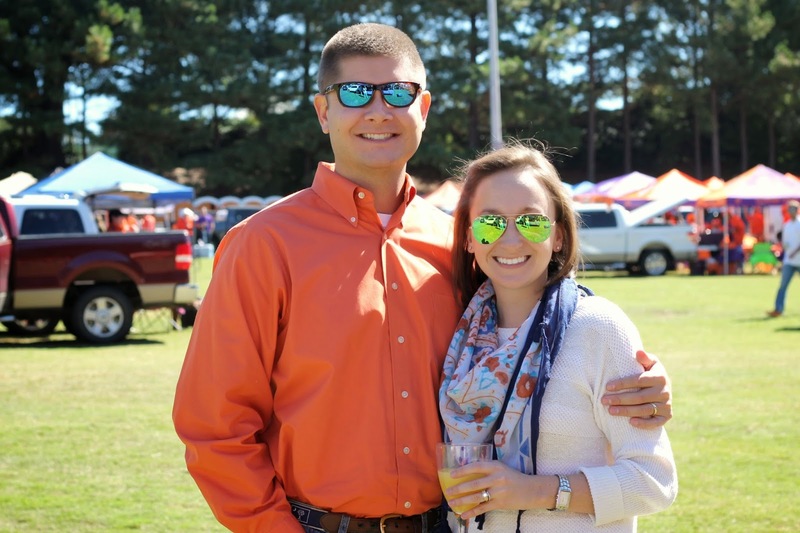 This is the first weekend where our temperatures have been cool enough to actually feel like fall, and we had the best weekend filled with fall activities. My parents arrived on Friday evening and the four of us went and had a beer at Greenville's Oktoberfest, listened to the oompah band play, and watched a beer stein holding contest. We then walked down Main Street for a Belgian-themed dinner at the Trappe Door. I just love the international influence that Greenville's businesses have had on its restaurants. Sometimes nights out in Greenville feel more like we're in Europe than in South Carolina. While our Friday night felt very European, Saturday was 100% America with a day full of light beer, corn hole, and college football. 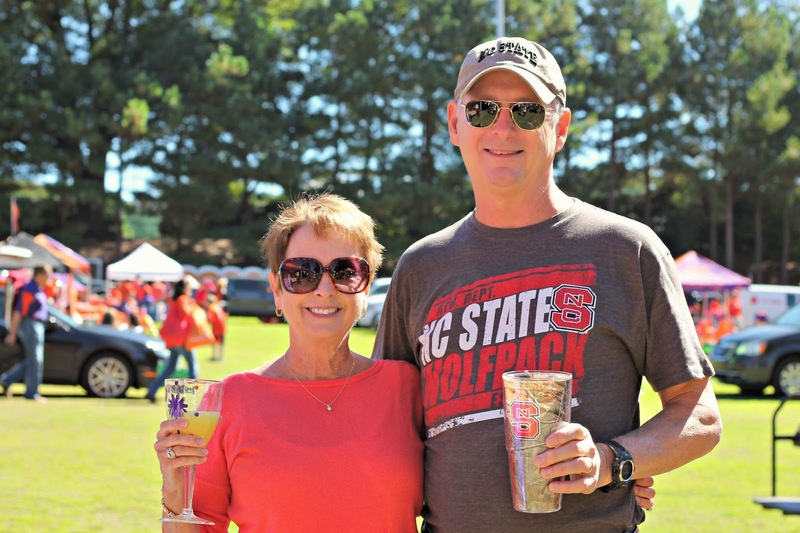 My dad is a NC State grad, so we always try to have them up for the Clemson vs. NC State game. Unfortunately for him, the Wolfpack got stomped. I was hoping for a Clemson win, but felt so sorry for him that his team lost so badly. 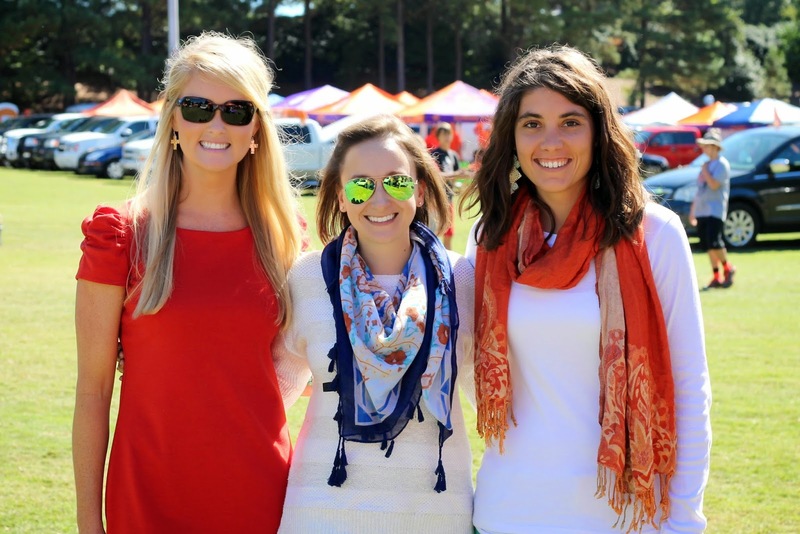 Regardless of the score, we had a blast tailgating together. 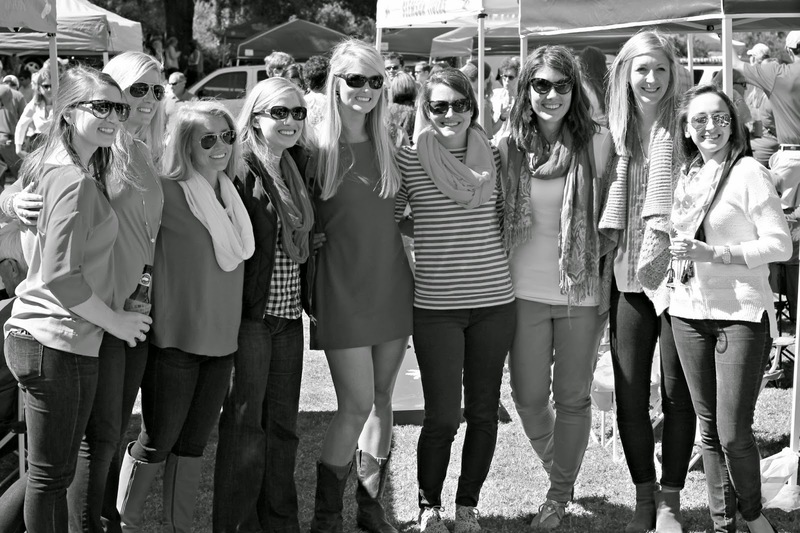 Every year my girlfriends all plan to get together at one tailgate, and it just so happened to be this weekend, too. I just loved that the two weekends coincided with each other. Having all of my friends and my family in one place made me one happy girl. And now for the Ja-vie giveaway winner...congratulations to Pam on winning a free pair of Ja-vies! Please reach out to April or me about how to receive them. We'll put you in contact with Ja-vie so you can let them know what style and size you'd like.